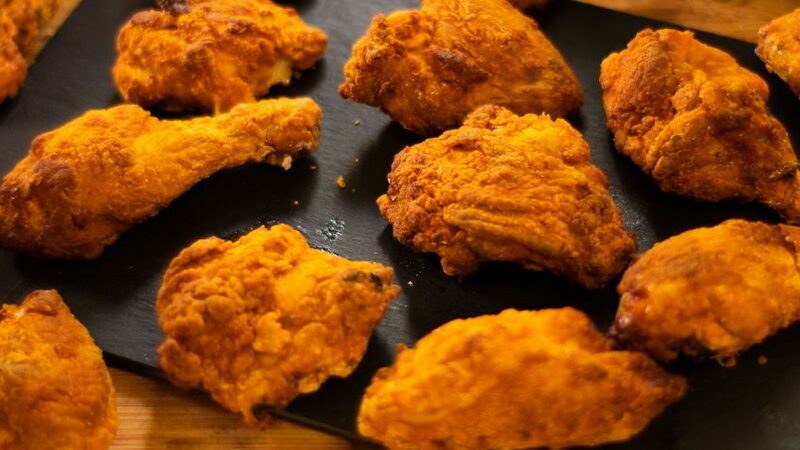 Simply the best Fried Chicken recipe ever! 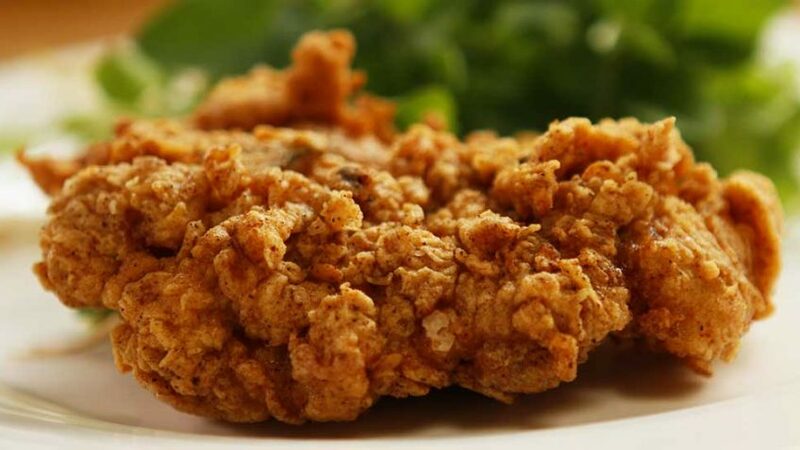 There are a lot of “Best fried chicken recipes”, many try to imitate the famous KFC secret recipe, you can see my version here. But let’s face it, as good as KFC might be, it’s convenience food and why try and make something when you can simply buy it. The only reason I can think of is to make it better. And this recipe is definitely better! You just cannot beat the freshness of home made fried chicken. Now this is not a copycat recipe, but it is quite simple to make and despite its simplicity in ingredients, I’ll be bold enough to claim that it’s the best recipe you will ever find. With the smokiness of the paprika, the popcorn like crunchy coating and the brined moist meat, you will be amazed at the outcome in a standard fryer. 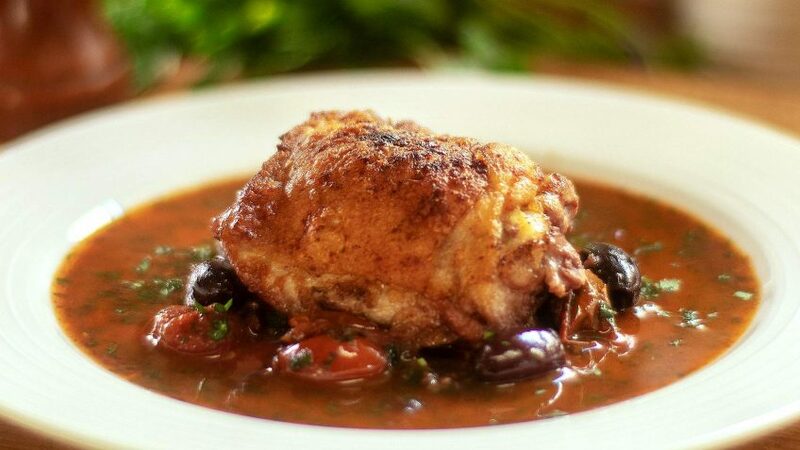 I’ve made this using boneless, skinless chicken thighs but you can certainly make it with breast and keep the skin on if you prefer. Serve it with a salad or you can also use this recipe for an awesome chicken burger. Make it quick before this becomes the next secret fried chicken recipe! In a mixing bowl, add the coriander, smoked paprika, cayenne pepper, onion powder, garlic salt, white pepper, salt, and brown sugar. Mix well. Flatten your chicken by placing in between cling film and lightly pound using a meat mallet or underside of a saucepan until an even size. 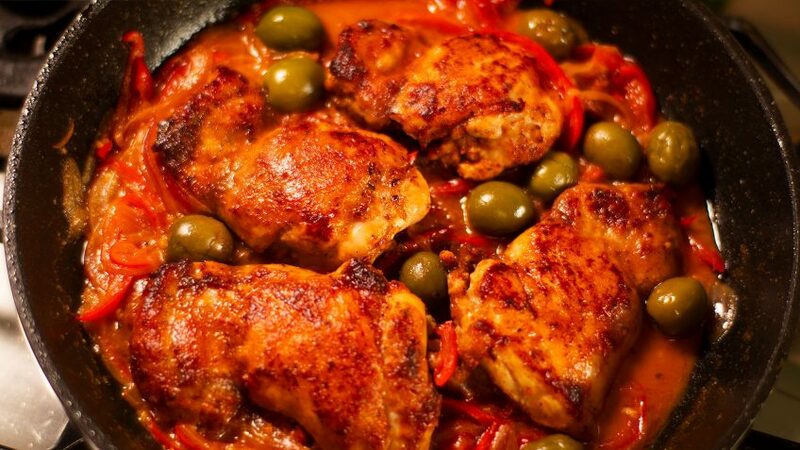 On your chicken pieces, sprinkle approx 2 teaspoons of the spice mix and coat each side evenly. Keep the rest of the spice mix for later. In a marinating container or mixing bowl, add the butter milk, 2 whole eggs, one tsp of salt and 2 crushed bay leaves, mix well. 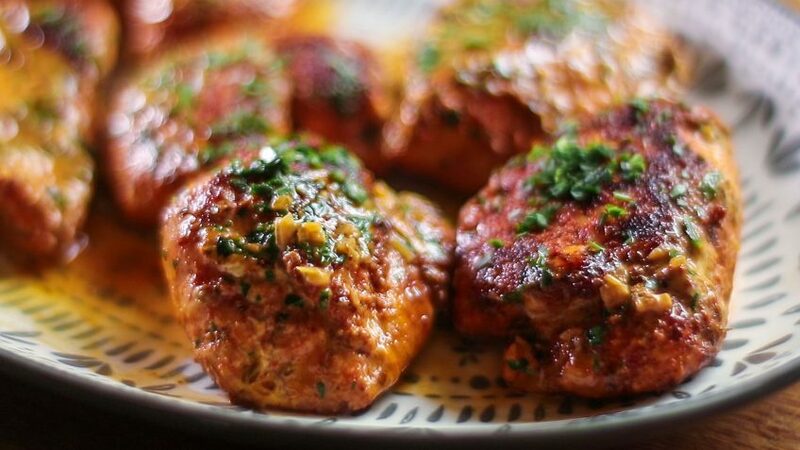 Add the spice coated chicken to the butter milk, cover, refrigerate and marinate overnight or a minimum of 2 hours. While the oil is heating, add your leftover spice mix to a mixing bowl along with the all purpose flour, cornflour (cornstarch) and baking powder. Mix well. Remove the chicken pieces from the butter milk and place in spicy flour coating one at a time. Repeat process until each piece has been coated in flour mix. Place the chicken in the hot oil 2 or 3 pieces at a time until golden brown. Remove and place over a wire rack for the fat to drip. Serve immediately. Always be cautious with hot fat, if using a pot don't overfill as it can easily catch fire. 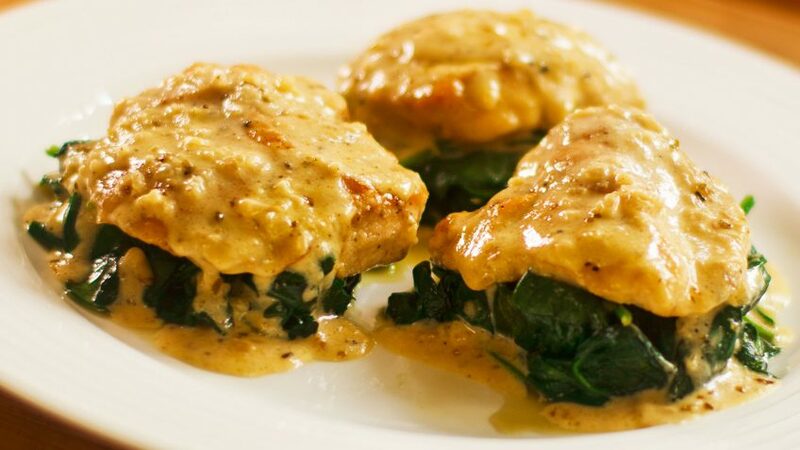 You can use chicken breast or thigh, with or without skin on. Marinating in brine for 24 hours will give you better results. (more moist) Great for a chicken burger with salad and aoli see my chicken burger recipe. Remove chicken from fridge at least 20 minutes before deep frying.